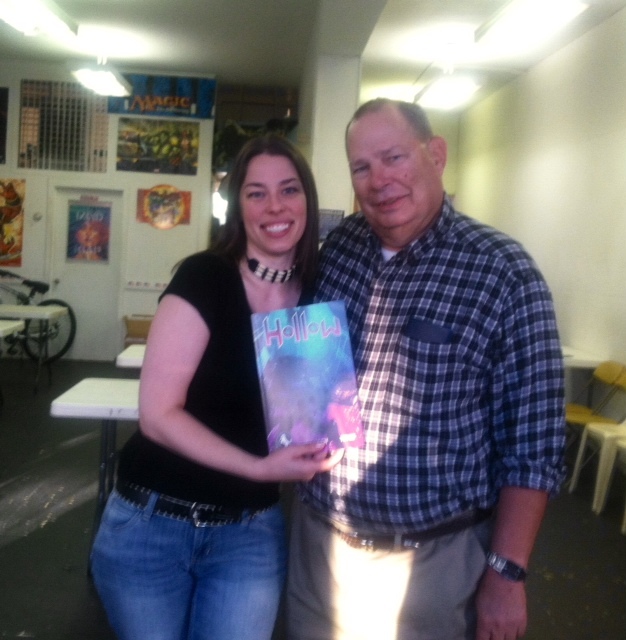 Our book-release party for Hollow: Hosted by the gracious and friendly guys at Twin City Comics! The book couldn't have gotten off to a better start! Thanks to everyone who dropped by, friends old and new! A suprise visit from Christa's dad Tom, who drove all the way out from Wisconisn! 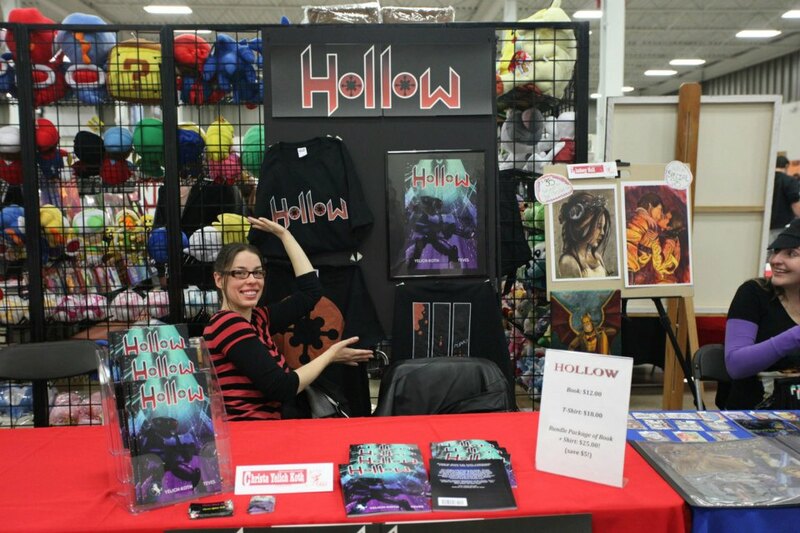 Christa and I share a half-table at FallCon 2012 just days after the official release of Hollow: Good grief, what an amazing event! 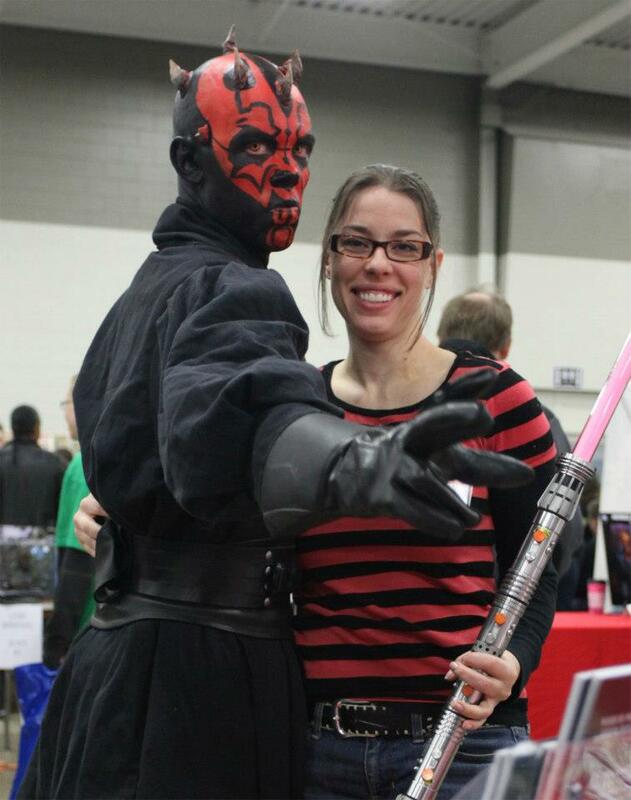 Big shout-out to our table-mate, Salina Travino (she of the super-steady drawing hand), and the good folks at the Star Wars club who sat next to us. I'm sorry we can't remember your actual name, if you see this, or anyone knows, please let us know so we can give you a proper thank you! Special thanks must be given to Chad Corrie, who pointed us at the convention and gave us contact info, etc. Great guy, and big help! Book signing! 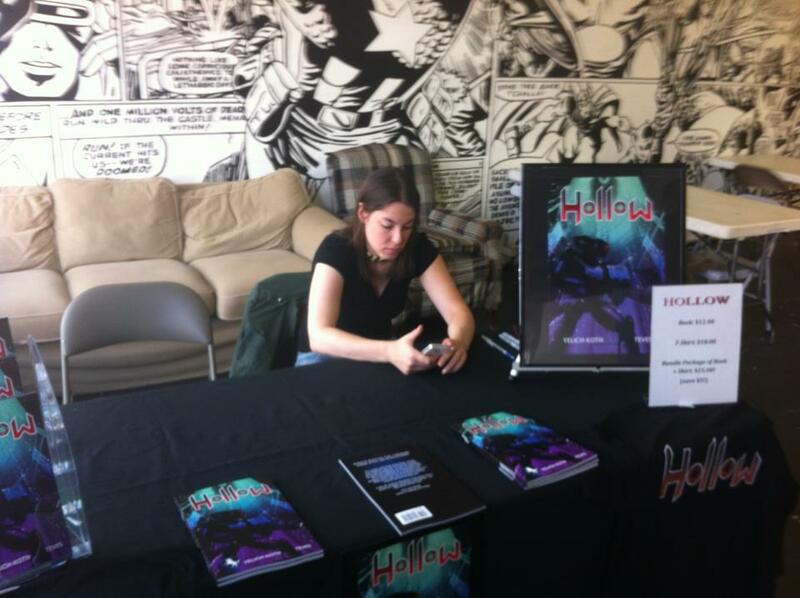 The College of Comicbook Knowledge were gracious enough to host a book-signing for Hollow! Mucho thanks to the store for the nummy pizza, (yes, it was nummy!) 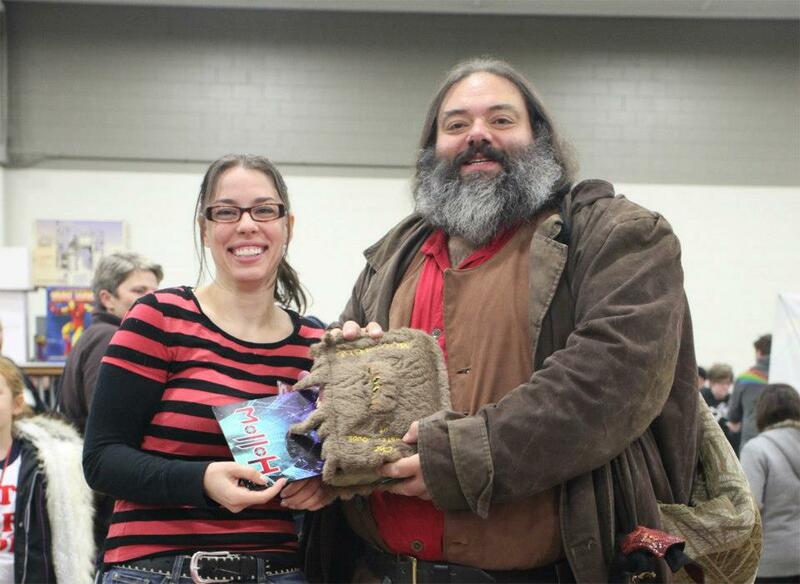 and thanks to everyone who came by to get a book signed, or bought the book there! Sadly, somebody forgot to take pictures! Aaargh! 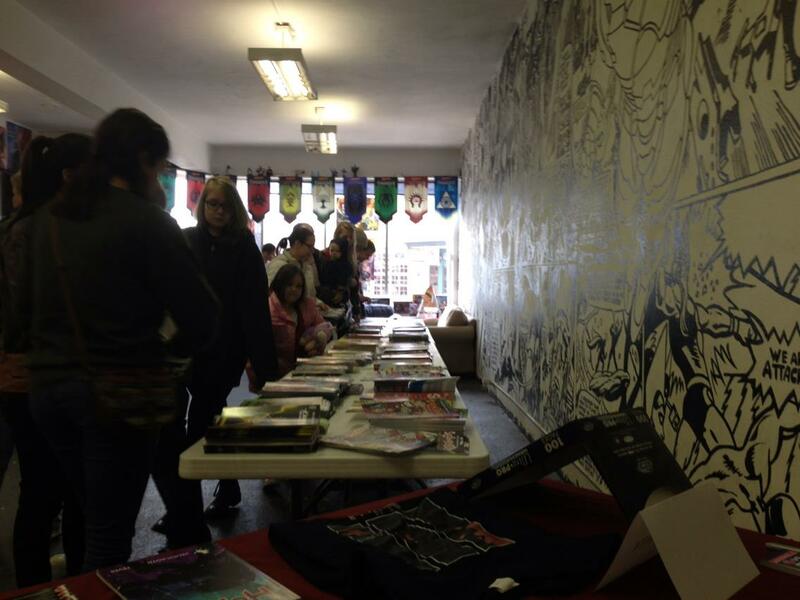 Christa and I sit in on Free Comic Book day at Twin City Comics! 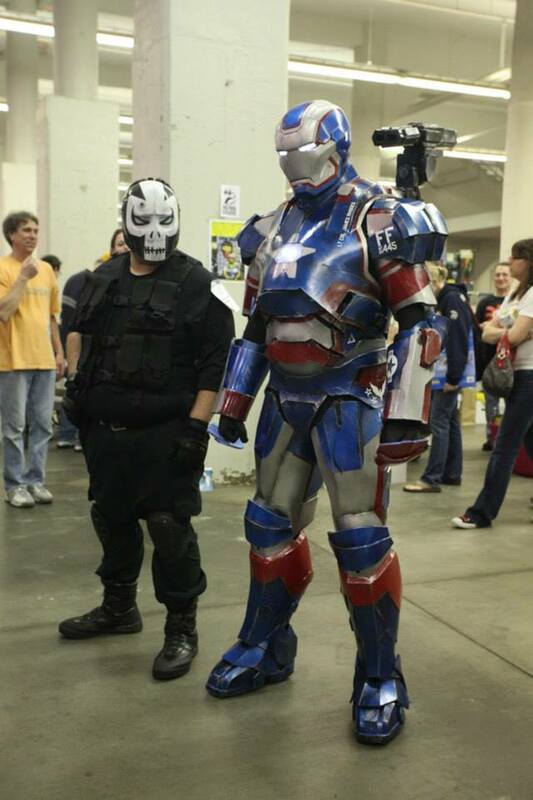 This is a tremendously great idea for an event that took place in comicbook stores all over town! 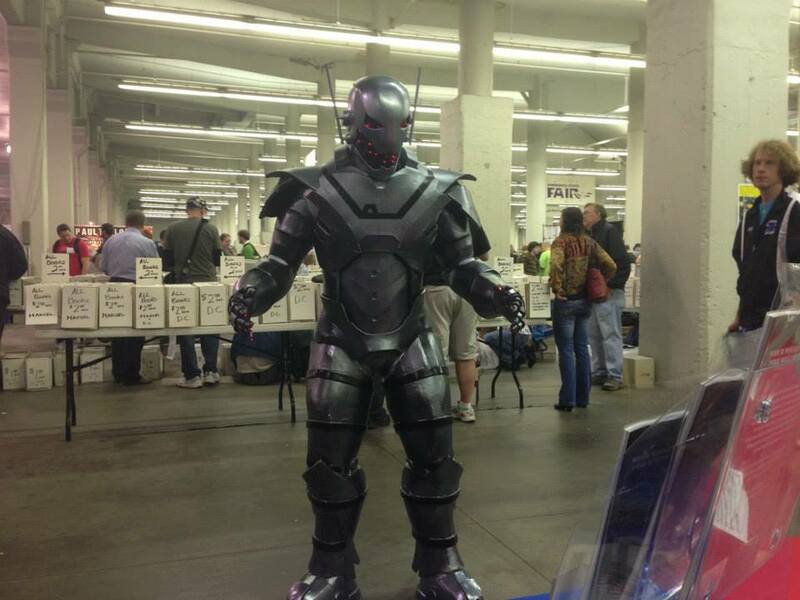 Five free comicbooks for everyone! It was nice to see people of all ages participating in this, but it was especially nice to see so many kids picking up what may well have been their first comics! 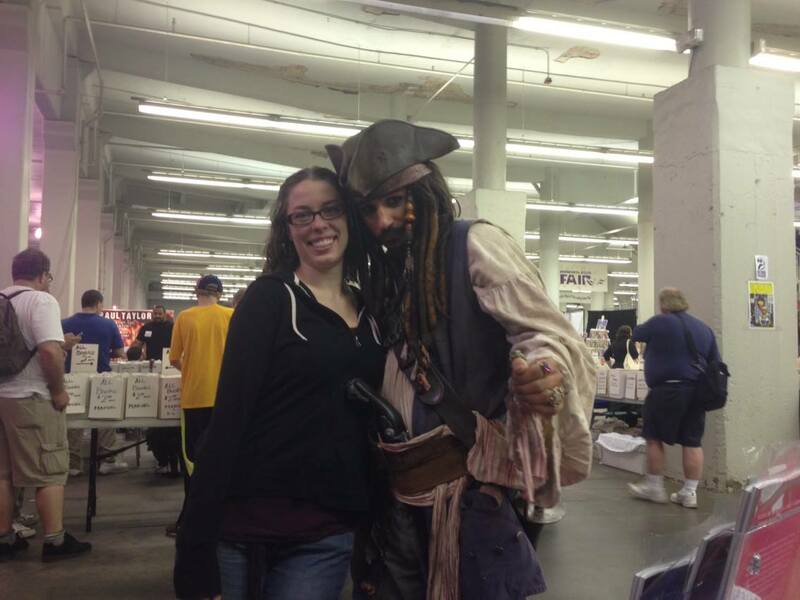 Christa and I had a creators table at SpringCon 2013 at the Minnestoa State Fair Grounds! A spledid time was had by all, that's for sure! 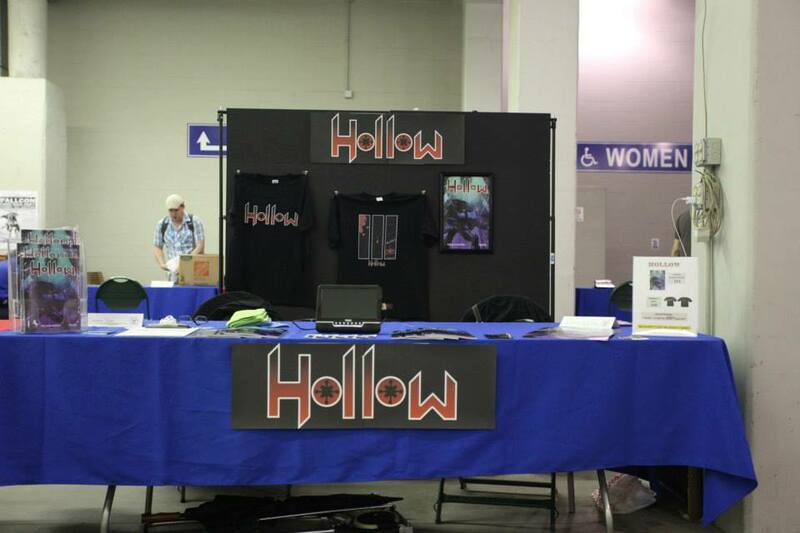 Thanks to everyone who made it down to the Convention and visited our table! 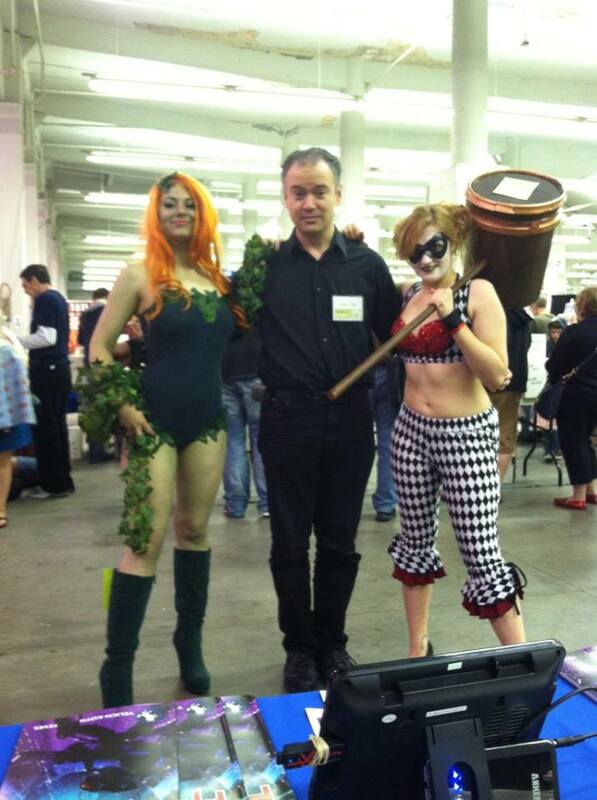 Me, with Ivy and Harley. Ooo! 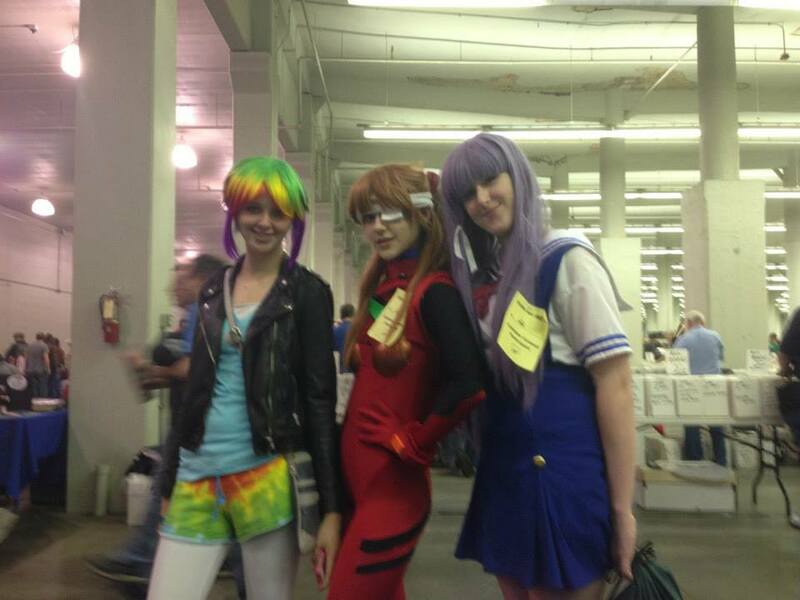 Asuka Langley from Neon Genesis Evangelion between I'm Not Sure. They do look awfully good, though.